We're feeling extra Earthy here at TIS this month... maybe because we're getting so close to spring (we hope so, anyway), but also because there are tons of sustainability-related news, happenings and events going in Grand Rapids. 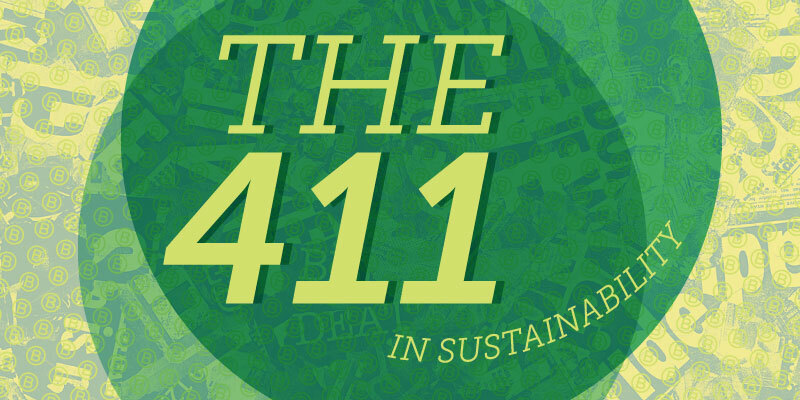 Here's the 411 on the happs in the sustainability world in February! For consumers & businesses: Support local B Corps in your area (here's a list of all Grand Rapids and other Michigan B Corps). For consumers & businesses: Sign up for the B The Change newsletter for stories and insights on companies using business as a force for good. For businesses: Take a stab at taking the Local First Quick Impact Assessment! We've got another Grand Rapids business in the certified B Corp fam! Congrats to our former neighbor Atomic Object on officially earning B Corp certification. Much like TIS, Atomic Object has upheld B Corp standards since their inception in 2001, according to Business Manager Mary O'Neill. When asked what becoming a B Corp means to him personally, CEO & Co-Founder Carl Erickson commented, "I see the high score and the certification as formal recognition that 17 years of work-maturing and refining our operations isn’t just a matter of one-off decisions. It is a recognition of the cohesive strategy of treating people well and thinking about something other than just revenue." Ah, we just love that triple-bottom-line way of thinking! Nice work, Atomic. Woohoo! Our very own Office Manager (and sustainability guru) Angela Fox is the recipient of WMEAC's "Woman of Vision" award! Angela will be awarded at their ceremony on February 27 featuring keynote speaker Peggy Shepard of WE ACT, who will be addressing the topic of Environmental Justice in Harlem and New York City and the work she does. Congrats, Angela! We're so proud of ya. Local First's Good for Grand Rapids initiative brings together and celebrates companies using business as a force for good. GFGR has encouraged more folks to take Local First's Quick Impact Assessment—70 of 'em, to be exact! On Thursday, March 8, Local First is hosting the Good for Grand Rapids Awards Reception at Lions & Rabbits, honoring the top eight highest-scoring businesses who completed the Assessment. It's sure to be a great time! Plus, Lions & Rabbits is adorable. Click here to purchase tickets. 5. TIS Sustainability Report on the way! Last but most certainly not least, TIS has been hard at work on completing our very first Sustainability Report! The Report will cover the finer details of what makes us committed to the triple bottom line (people, planet and profit), a breakdown of our B Corp score, our goals for improvement, and even a timeline of TIS from its inception to today. Keep an eye out for the release of this report in the near future. Questions about B Corp or anything sustainability-related? Drop us a line! We love to chat on this topic.